I get to try all sorts of new things for free with my different review sites. 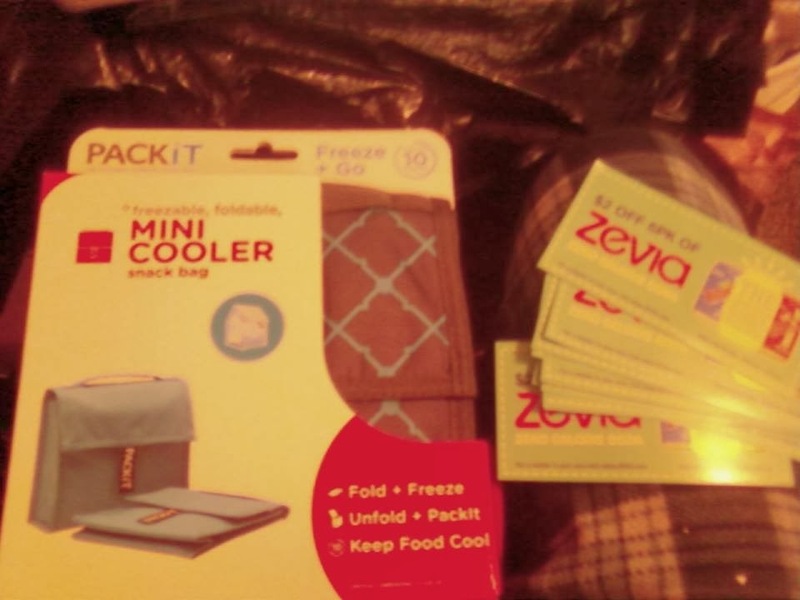 Zevia is a name that has been thrown around a lot of sites like Swaggable and Mom's Meet. All I knew about it was that it was made from the Stevia plant and was sugar free. Now if you know me then you know that sugar free is not normally in my vocabulary but when you get the opportunity to try something out for free you take it and run with it! So of course when Mom's Meet sent me an invite to try it out with my group I just had to at least sign up. Then one day I got the email and instead of the usual you were not picked I got a congrats message! Others have gotten this in the past so I took to Facebook to find out what comes in the package. They all told me that it was free product coupons, coupons to give away, and a cooler. So right away I was thinking hmm even if I don't like the product, I end up putting a few "good" things into my body, and get a free cooler! I don't go to the site as much as I should so I never know when packages are coming. It came Fed Ex and as I am signed up for Fed Ex alerts you would think it would have told me it was coming right? Hell no! It was down by the front door and sat there all day until Jay found it on his way out for work! I think the people are too scared to steal anymore but you never know. So Grr on you Fed Ex! Anyway he runs it up and says you have a package! He never got into while he was on work release but now that he sees what I can get he even gets excited for the mail now! He turns and leaves for work all bummed because he doesn't get to see what is inside! I look at the label and see Mom's Meet and know what it is immediately. I rip open the package and I pulled out the cooler first and my first thought was wow that is cool. Just like a little kid I was already searching for the next thing. I found multiple free 6 pack coupons and $2 dollar off a 6 pack coupons. They also sent paper work which to be honest I did not read it all but I skimmed through. The second page was quite helpful. As we had never seen Zevia in stores it helped us to identify what it looked like and what flavors they had. So I sent my husband out with a list of acceptable flavors. He pretty much knows what I will drink and what I won't so I wasn't worried. He came home with Cream Soda, Ginger Root Beer, and Black Cherry. The store only had a few things from the list. I was unable to get the girls together for a party so I took a can of the different flavors to about 10 of my mom friends and used the feed back from all of them and myself to form this review. Jamie said "The first time I tasted the Ginger Root Beer, I thought it tasted like flat root beer. Oddly when I chilled it the taste got weird. I liked it much better in a chilled winter room." Amber said " As far as sugar free goes, this black cherry tastes almost the same as the normal kind. I would buy again if they ever come down in price!" Brittney said " The Ginger Root Beer was not as good as I had hoped it would be. It tasted so flat and nothing like root beer like I had hoped. I tried adding Truvia but even that didn't help. I love the idea of it so maybe I will try a different flavor. I am definitely willing to especially with a coupon!" Dawn said " I love cream soda and was happy when you had it on the list of choices! I drank every last drop if it and I am in love! I found my new drink and I am shocked to say it's sugar free!" I had mixed reviews on Zevia from my mom friends. I did notice that they either loved it or hated it, there was no "in between." When I tried Zevia, I had a mixed reaction to it because I got to try some of each one. I felt that the black cherry was the best out of all three flavors. It was the only one that tasted like a normal drink out of choices. When it comes to my family and I, I learned that we are NOT sugar free drinkers. I had so much fun trying something new that I would have never tried without getting it for free. Not only did I open up the world of sugarless drinks for my family I also opened it up for my many mom friends and their families as well. There are a few I know who have went out and purchased Zevia since I shared a drink with them, their only complaint is the price. These things are over $6 a 6 pack. For something that tastes the way that Zevia does I wouldn't pay 25 cents a can let alone over a $1. 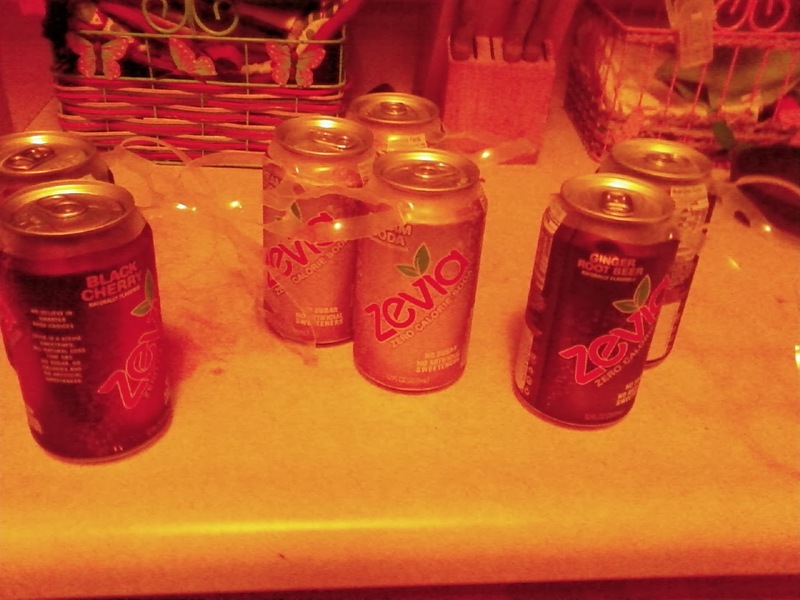 None of us had ever heard of or seen Zevia in our local stores, so we were surprised when we went out searching for the brand and found some options (not a whole bunch but a few) at the store to choose from. Is it bad that we have been going to these stores almost our whole lives yet we never saw this on the shelves? Zevia needs to advertise more and find a better way to really soon. I mean if people can walk right by and glance at your product and not remember it, you have a problem. I think that diabetics and people trying to turn their lives around are the target audience for this product. It is not horrible, I would drink it if there was nothing else in the fridge. Zevia is just not my option for an every day drink. Sugar is something that I am use to and the kick helps me get through the day. When I had these it was almost like drinking flavored water in a way because there was no kick. There was no real kicker, nothing really memorable about Zevia in my experience. They for sure have a target audience, but that is not me. The silver lining in all of this has to be the free cooler! This thing is so amazing I am going to do another blog post just for it! If you get the chance to purchase one of these coolers, DO IT! Even in a blazing hot factory it stayed colder longer then any other cooler we have tried! This thing is awesome you have to read the next blog post about it! I want to thank Zevia and Mom's Meet for letting us try this product for free in exchange for an honest review. While Zevia is not for everyone, I know that someone reading this will go out and try it and love it! Don't ever be scared to try something new. Fear only hinders your ability to find new things to love. If Zevia sounds like something you would love to try head over to the Zevia website for a list of stores in your area that carry Zevia and get out there and try something new! You better take one of these coupons with you though because the prices are pretty salty!